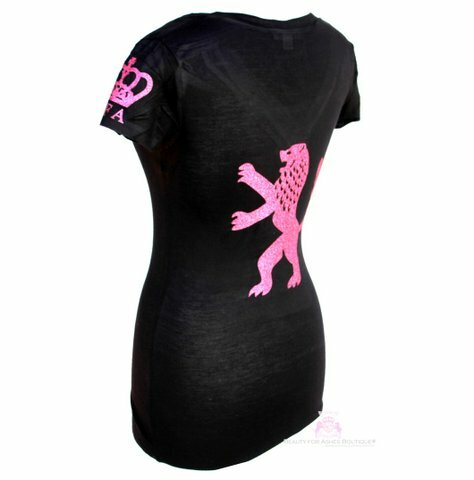 (photos show size Small) Lion of Judah Short Sleeve T by Beauty for Ashes Boutique This is a beautiful black v-neck super-soft rayon stretch blend 95% rayon, and 5% spandex T or Rayon. T Shirt with Yeshua in modern Hebrew, the Jerusalem Lion on the back of the T, and the BFA Crown on the arm. Designed and Printed in the U.S.A.